These full-color postcards were designed to build awareness of Gemcom’s engraved sign services. 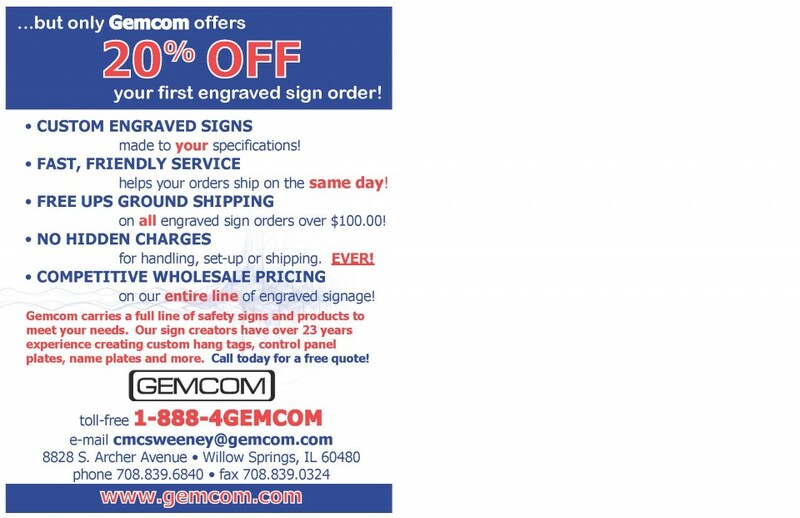 They were looking for a unique mailing piece that would incentivize current customers who were ordering other products from them and may not have known Gemcom offers engraved signage. Promoting the free shipping deal was also an important aspect for them to promote in staying competitive price-wise with online suppliers. These were printed on a thick 14pt. high-gloss stock and UV coated over a fire engine red background. This helped the piece stick out from the standard white #10 envelopes and smaller postcards. We also felt anyone who remembered the band Tesla and their song “Signs” would find the reference a humorous tie-in! Offering an incentive with direct mail campaigns can generate an immediate response and increase the size of orders with customers looking to maximize their discount. Learn more results-driven techniques by hiring dream ink for your next postcard mailer. Need a graphic artist to design your full-color postcards? Affordable high-quality printing or mailing of your postcards? 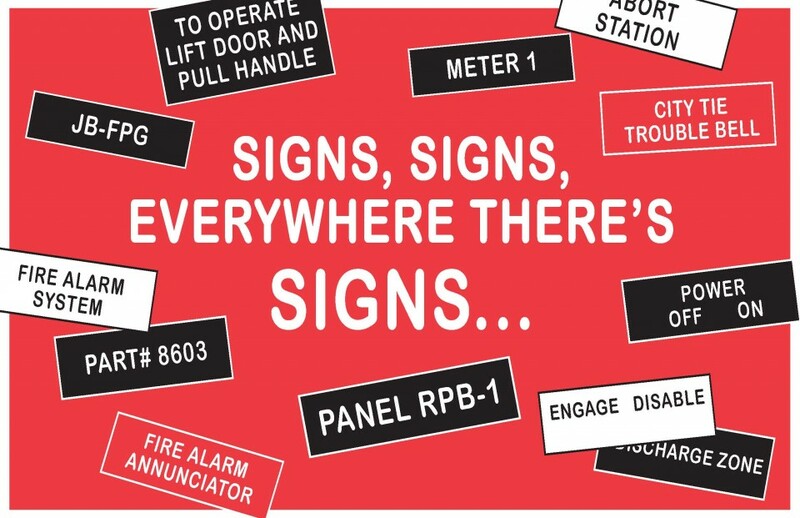 A more effective strategy for your direct mail campaigns? Visit our Printed Products page for more information, or call today for a free quote or consultation.